We had a quick morning outing at Peanut Island and I had one hour to find and sketch something before getting back to the boat. 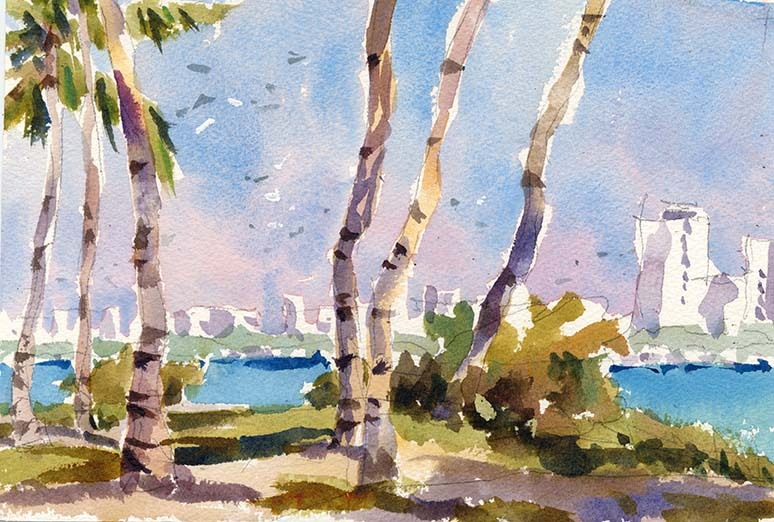 Plein air 7.5×11″ Arches 140lb. cp.